We finally got to test one of the most interesting Android Mini PC's that were ever launched - the Wetek Play. 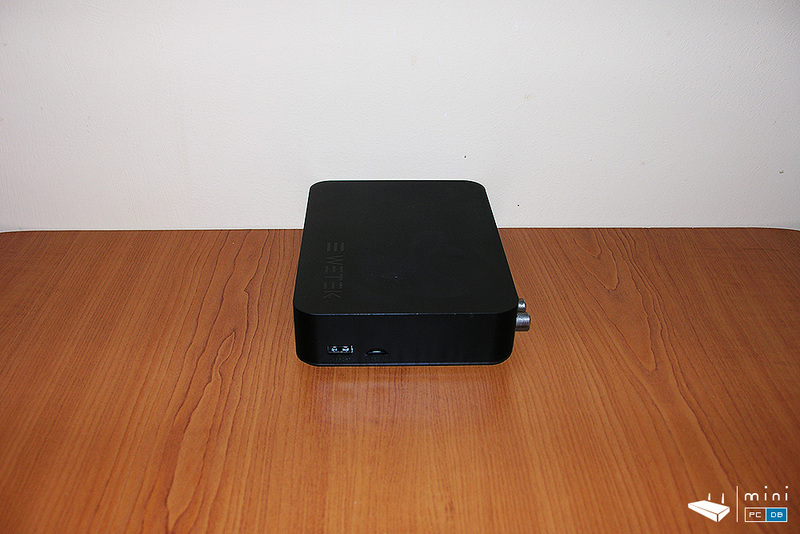 Let's face it: Chinese manufacturers are ruling the Android Mini PC/TV box market, and you will have to be very creative in order to become a major player, and as you'll see in the below unboxing and the future review that's exactly what the Slovenian/Hong-Kong - based company does best. In a nutshell: they took one of the best SoC's (at the time) and started to add features that were overlooked by other manufacturers, started to massively invest in Kodi and OpenELEC open source projects as well on their own engineering team. They even got their device Google GMS Certified, which is something rare for a TV box (although it shouldn't be, as installing Google Play without having a GMS is not legal). As a side note, this would have been a good step into having Netflix running in HD, but unfortunately hardware does not allow it. 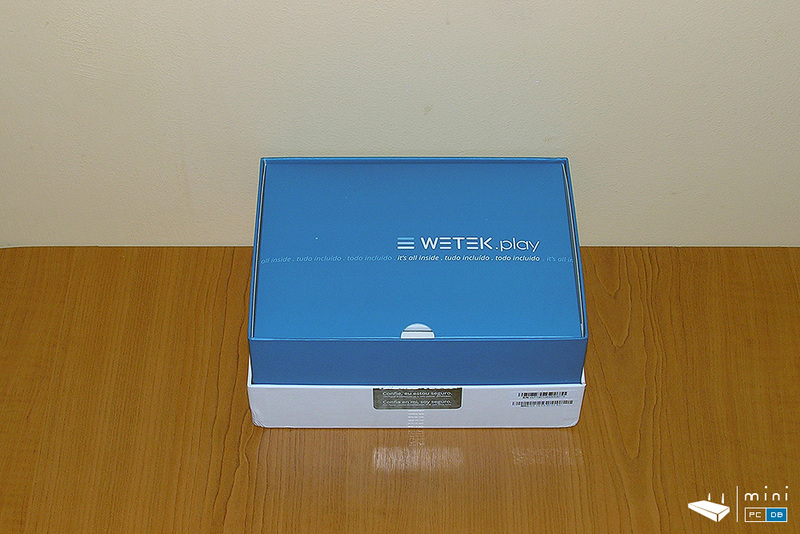 Back to unboxing: there's only one word to describe the packaging Wetek Play comes with and that word is awesome - they really managed to get a premium look and feel for the device. 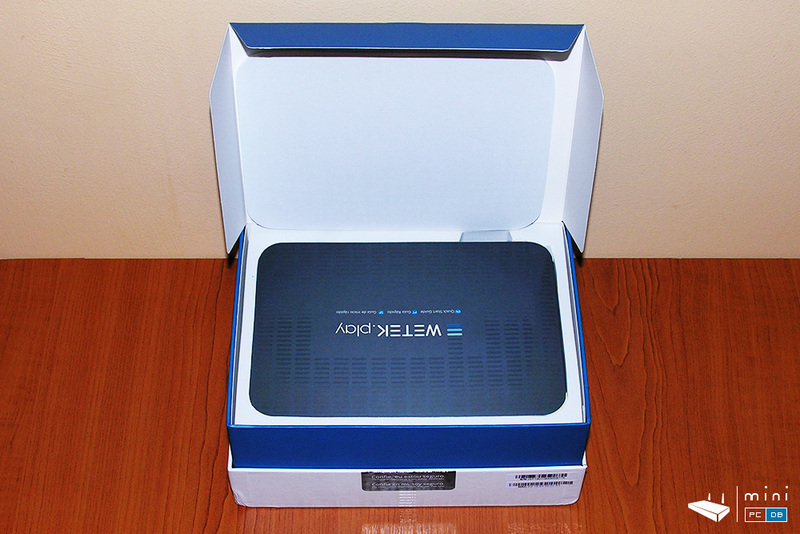 For the outer box they chose a rather simple and clean design, with very few words on it - they don't even mention what type of product you'll find inside - if you see this on a shelf somewhere and you never heard of it you might easily think that's it might be a tablet. 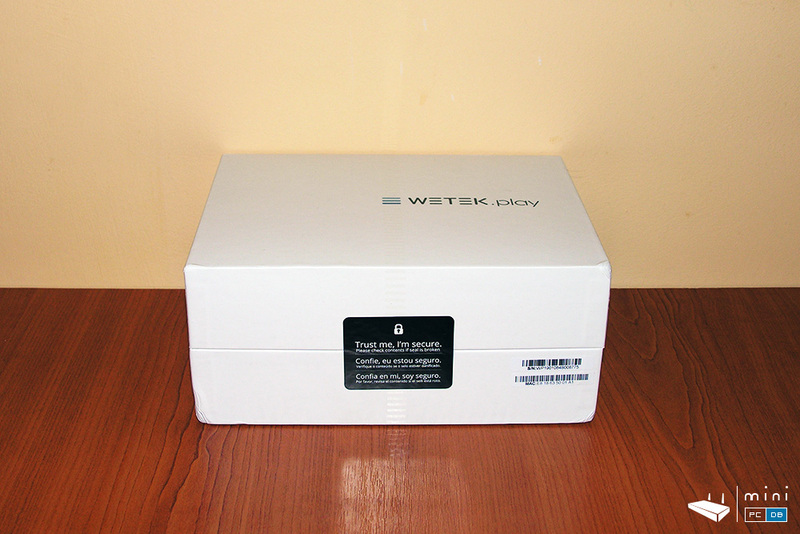 On the top there's the Wetek Play logo, sides contain the usual legal markers (CE, RoHS, etc) and two seals that show you if someone else opened the box before you. The only clues that this is an Android device are the Google Play and Android logos found on the left side. A bit more revealing is the bottom, that lists the most important specs (CPU, GPU, ROM, connectivity). Once you open the box you find ... another box, more colorful (blue). 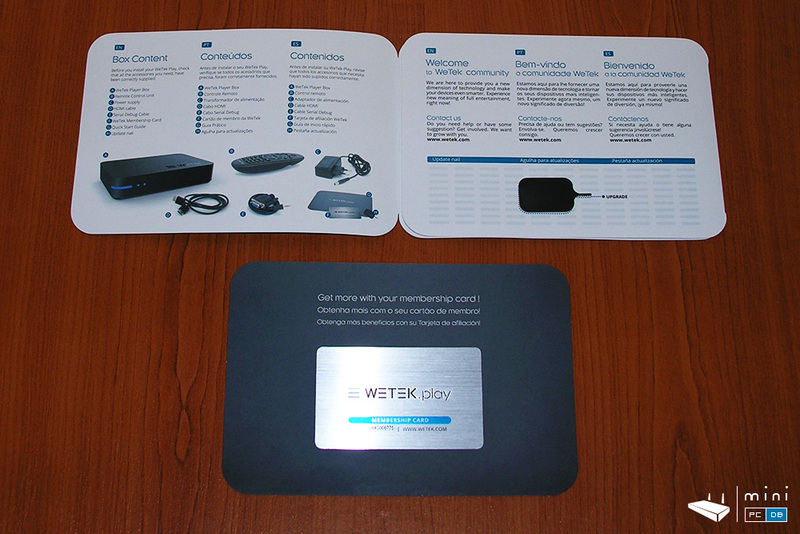 Open that as well and you might think you found the device itself, but that is the multi-language quick install guide which also contains the membership card, which looks like a credit card in size (and just like the credit card is made out of plastic). 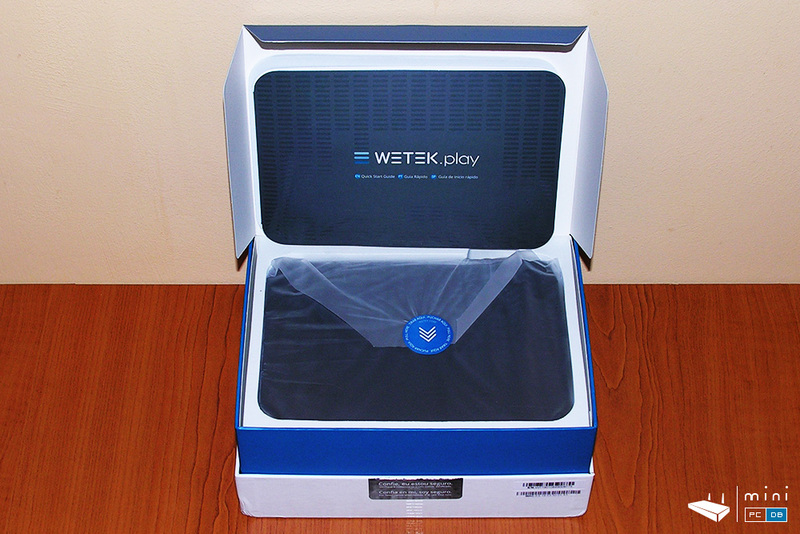 Underneath there's the Wetek play device nicely tucked away in it's protecting foam. 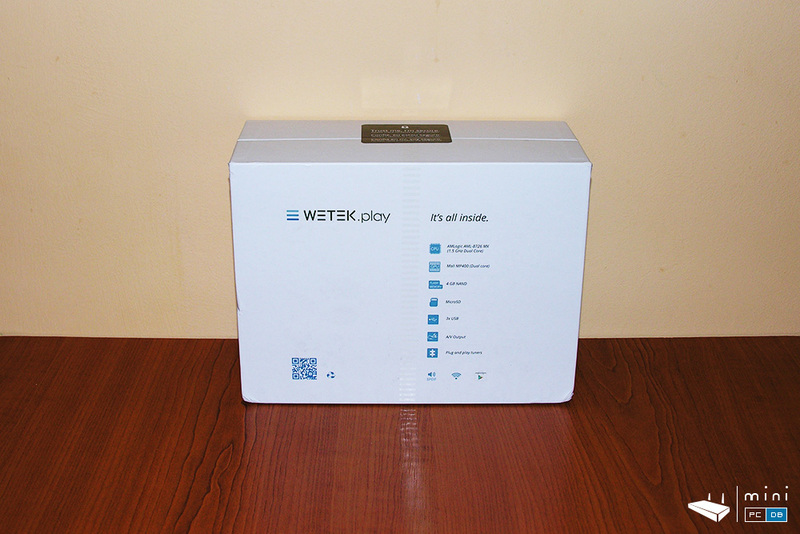 Finally we get to the Wetek Play device. While made of plastic, it still looks polished, it's soft to touch and doesn't "record" your fingerprints. 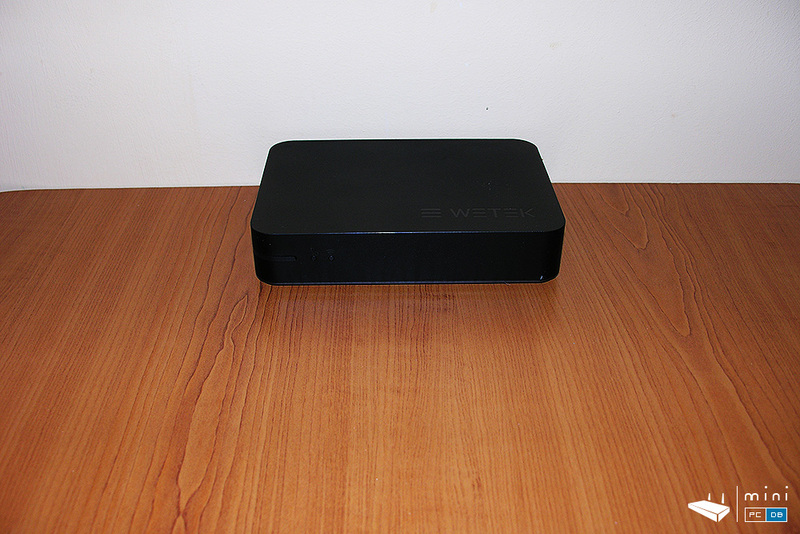 The top has the Wetek logo embossed, on the front we have 3 LEDs (power, ethernet LAN and Wi-fi). There are no ports on the left side and the right side has one USB port and micro SD slot. On the bottom of the case we have the MAC address and serial number stickers and the "upgrade" pinhole.One thing that I was surprised to find is the fact that it can be wall-mounted. There are enough ventilation holes and as with other Mini Pc's you can simply turn it upside down if you feel that the CPU performance might be affected by overheating. 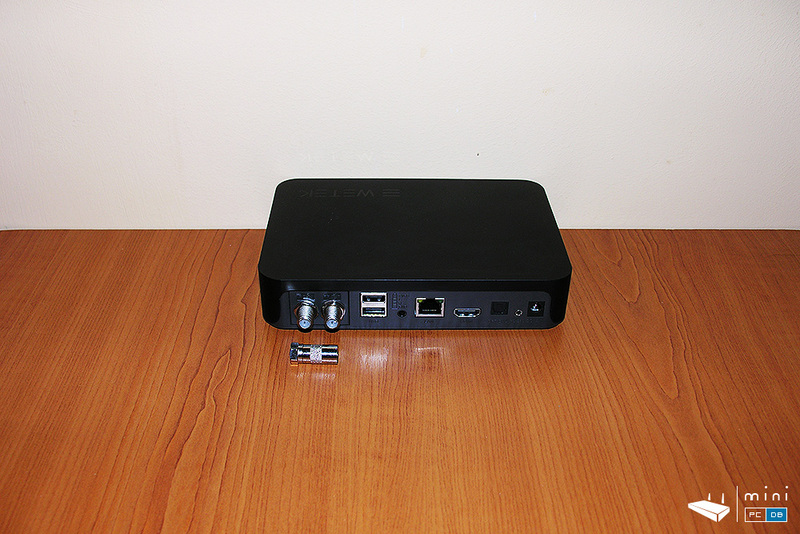 On the back we have two more USB ports, AV port (CVBS L/R), Ethernet, HDMI, optical S/PDIF and the RS-232 connector (something I didn't expect). 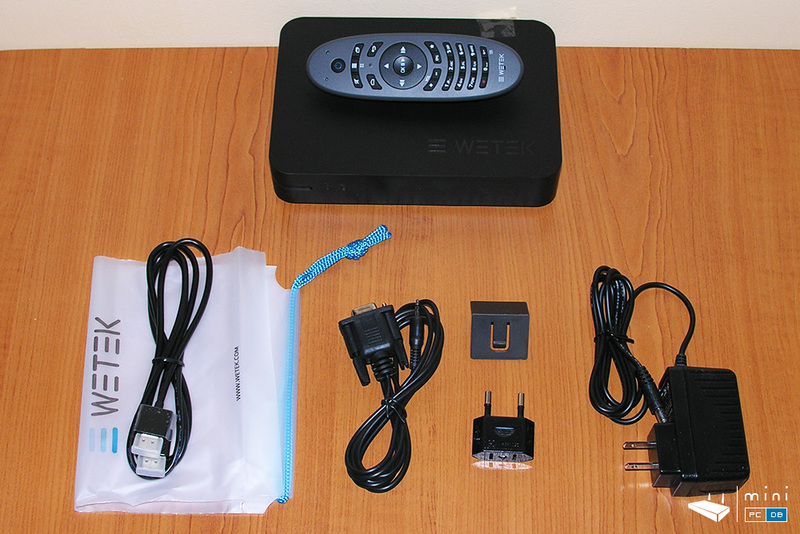 More interesting, Wetek Play comes with a TV tunner of your choice (DVB-S2, DVB-C/T/T2 or ATSC). Mine has a DVB-C/T/T2 tuner. Basically, just as the main box says, "it's all inside" - except maybe for the two batteries for the remote. Overall, a device that still manages to look promising despite of it's SoC being 3 years old. 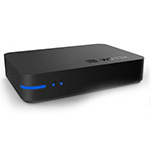 Wetek Play gives the impression of a polished product, everything seems well planned and Wetek being one of the largest sponsors for Kodi and OpenELEC really says something about them as a company. I would like to thank Wetek for providing us with the sample. You can order your own Wetek Play (and soon their newer mini PC, Wetek Core) from their website directly. If you live within EU you'll receive it in 2-3 days without any extra charges (VAT, customs fees), which is absolutely great!